888 - considered as an auspicious number by the chinese people. 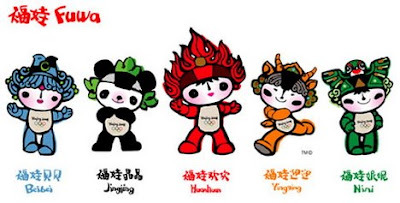 The reason why China chose today to open their Olympic ceremony.. Besides it is easy to remember 888 :) Enjoy the Olympic show. Hopefully TV1 will telecast it as i dont have ASTRO..
China related stocks & mutual funds are purportedly "BELIEVED" will rise when the Olympic event commerces. Visas to China has been frozen around 2 months before the event, which shows that alot of people are flocking to China for this grand event. It is really a glorious moment for the Chinese people.